Some of you might not recognize this brand. I recently found out that Herr's are only sold on the Eastern half of the United States and Canada, but this is a (somewhat) local company that I grew up with. All of the grocery stores in New Jersey carry Herr's snack foods, so growing up I assumed they were available nationwide. When compared to big, bold, companies like Lay's or Doritos, Herr's designs seem rather bland, but their products are very satisfying. Until now they have released pretty generic potato chip flavors, but I must have missed the memo, because I didn't know that Herr's had jumped onto the limited edition flavor wagon. As far as the bag's design is concerned, this is a big step up for Herr's. Their classic bags, which can be seen here, are simple and recognizable, but not especially appealing. That is why I was so impressed by this specific design, it has tons of bells and whistles. There are stripes, a gradient, a slightly more modern illustration, and even little sparklies! I know a lot of you are looking at this and thinking it's nothing special, which it isn't, but this is very different from the bags I grew up with. Typically, Herr's would pick just one color, print it on a foiled bag, and slap a picture on it. The colors and bags haven't changed since I was a kid, so I know all of the flavors and colors off the top of my head. (Blue means normal, green is sour cream and onion, red is ridges....I can go on and on.) I know it isn't made of gold or anything, and I shouldn't be gushing over it, but it's a big step forward for this local company and I think it's nicely done. Inside the bag are crinkle cut sweet potato chips covered in cinnamon sugar. 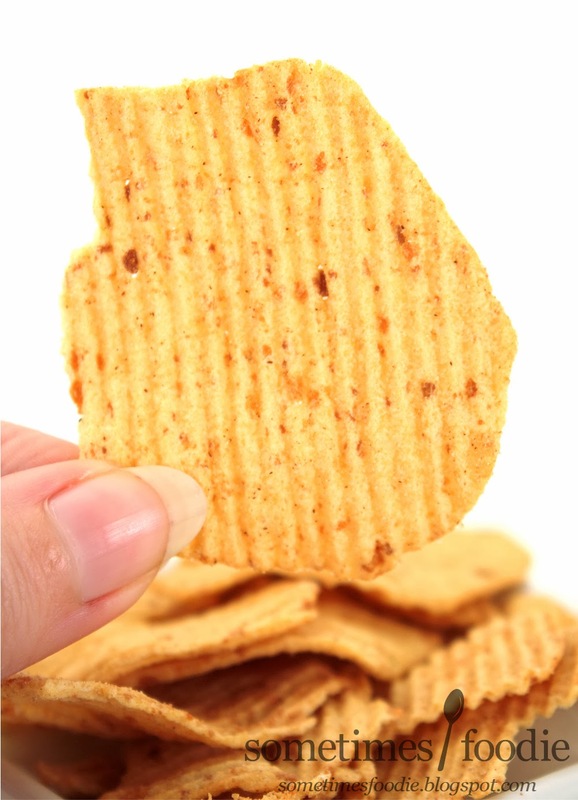 The chips are a pretty decent size and, since they are baked, they are thicker than fried potato chips (and slightly better for you). When opened, the chips smell sweet, slightly salty, and very cinnamon-y. Last year I actually reviewed Pringles attempt at a cinnamon and sugar potato chip, and that was a major fail. Will these be another spicy letdown? I am very happy to report that these are absolutely delicious. Not only are these chips covered with a decent, and well distributed, layer of cinnamon sugar, but they also have a sprinkling of salt. The sugary sweetness and light sprinkling of salt work very nicely together, and I found myself wanting to eat the whole bag. The flavor isn't the only satisfying thing about this snack. 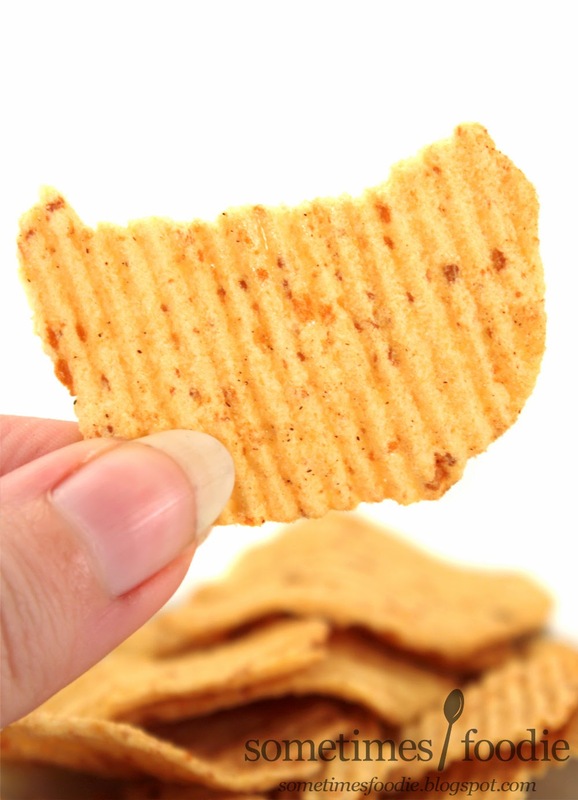 Due to the baking process, the chips have a thicker cut which creates a very satisfying crunch. Due to the crispy texture and the flavoring, these chips ended up reminding me of crispy churros fresh from the oven. This may be a limited edition flavor, but it might be worth adding to Herr's permanent line. 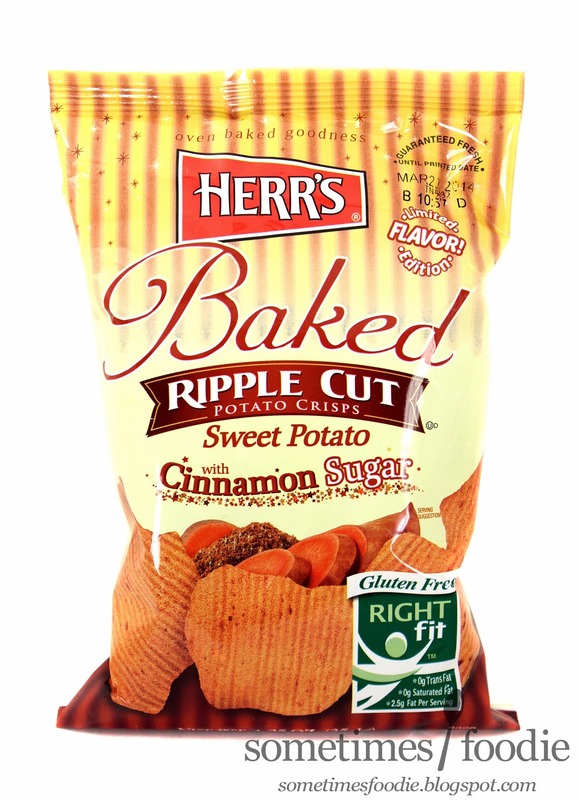 I really liked these chips a lot and I would definitely buy a full sized bag of these for my next party.